1.Hard tread castor wheels are the easiest to push and have greater mobilit provided the floor is in good condition? 1.a.Cast iron castor wheels are usually a favoured choice for those requiring hardy and long lasting wheel which wear well. These castor types can also withstand high temperatures, but can be noisy and cause wear to some floors. 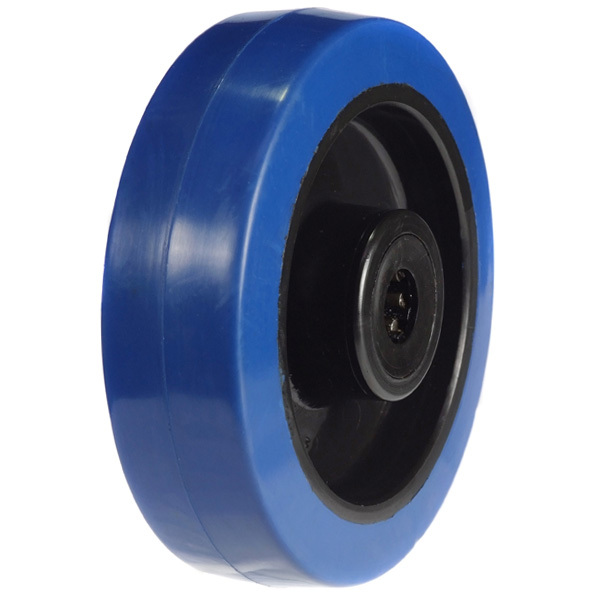 1.b.Solid Nylon castors are a bit more friendly on your floor with an impressive load capacity, yet these castors are still light in weight. 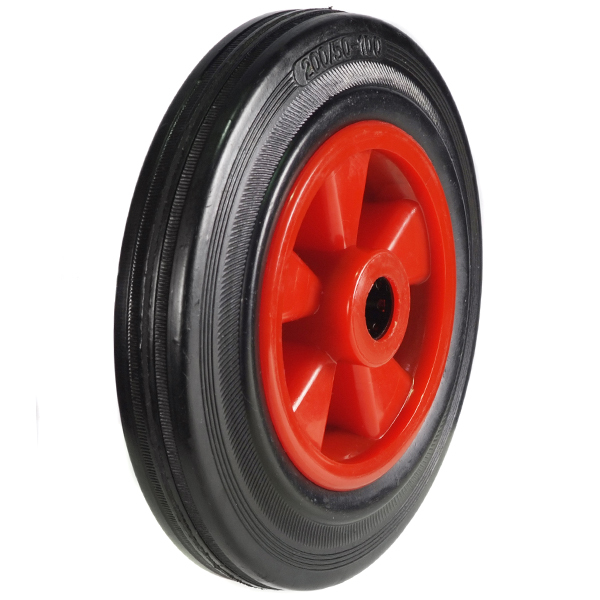 2.Rubber tyred castor wheels are suitable for use on most floors. 2.a.Rubber tyred castor wheels give a smoother ride and are quieter. Black rubber castor wheels can mark floors, in this case choose Grey castor tyres. Load capacities of these castors are not very high. 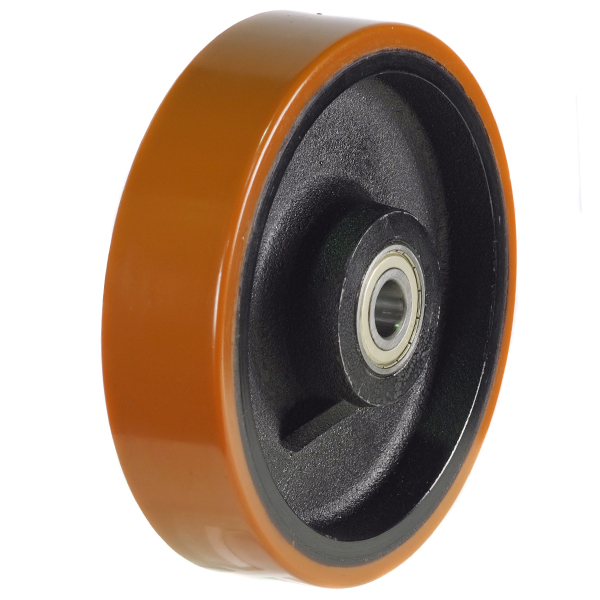 Also if they are not used over a period of time these castors can develop flats. 2.b.Resilient/Elasticated rubber tread castor wheels over come some of the above. These castors do not mark floors or develope flats. 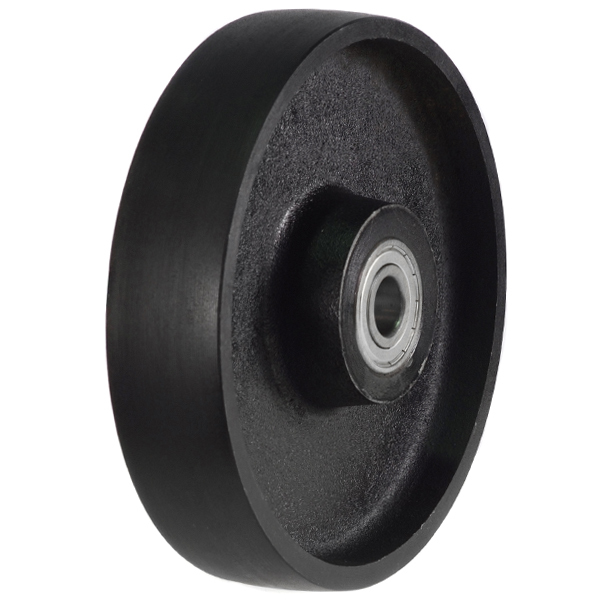 The load carrying capability of this rubber castor is alot higher than normal rubber castors. Softer tread castor tyres are useful for towing heavy equipment and offer good all round performance. 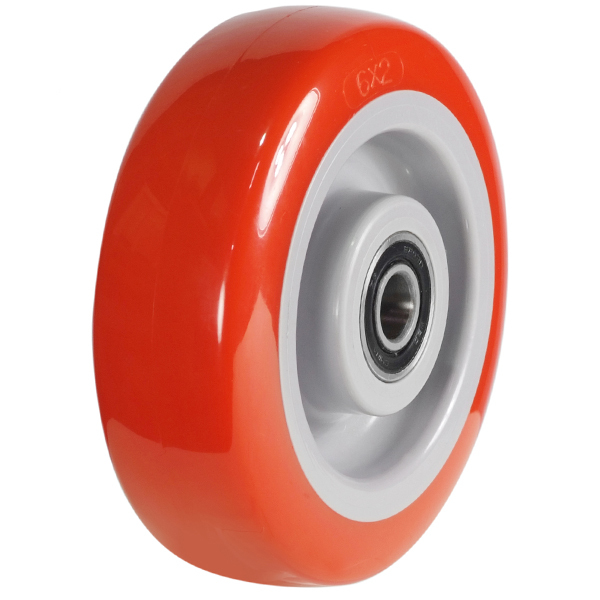 3.Polyurethane tyred castor wheels last longer than rubber castor tyres and are generally easier for manual handling than rubber castors. They can also cope with heavy loads. 3.a. 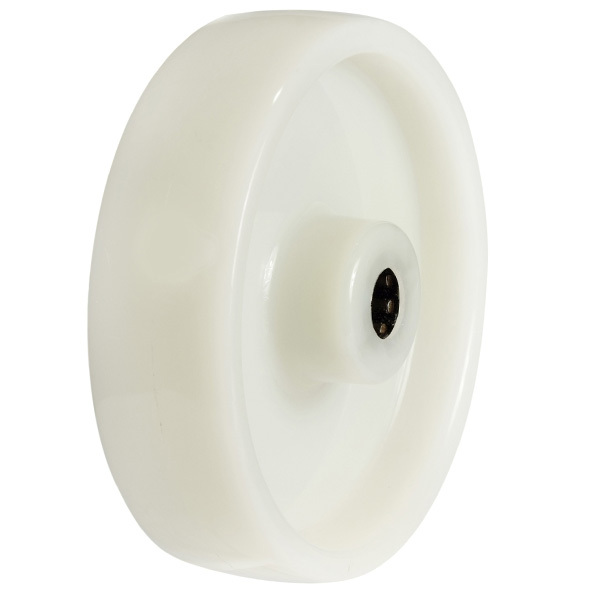 Poly/Nylon castor wheels offer high load capacities, protect floors and have a low rolling resistance (easier to push than rubber castors). Again these are used for all types of castor applications. 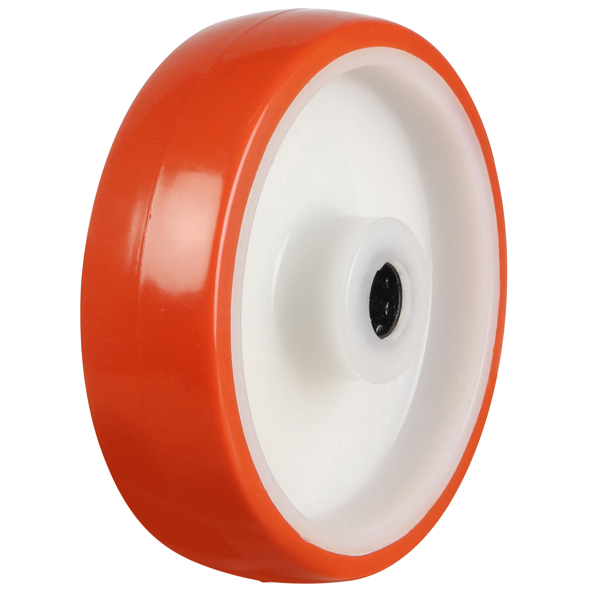 3.b Poly/Cast castors offer high load carrying capacities with the strenght of wheel as a cast iron castor. They are a heavier castor product however.